There are signs that voracious appetite of Israelis for apartments and homes may be calming down. After another year of near record demand for housing, there are signs that voracious appetite of Israelis for apartments and homes may be calming down. 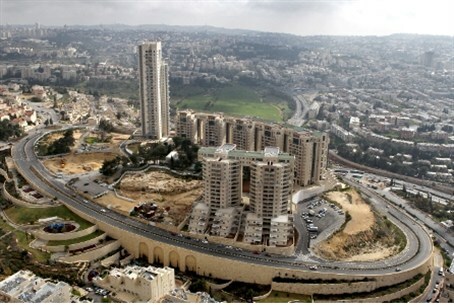 In January, the Finance Ministry said, there was a slight downturn in closings in real estate deals, the continuation of a trend that began in December – which is the result of a change in policy by the Bank of Israel, which has instructed mortgage banks not to provide preferred conditions to investors who already own homes, leaving the benefits for families that do not yet own a home. Whether the trend will continue is questionable, real estate experts said – because in 2012, Israeli contractors seemingly could not build homes fast enough to meet demand. In September, sales were low because few Israelis buy homes during the period between Rosh Hashana and Sukkot, but in October, demand again shot up, with 21% more people buying homes that month than the month before. Demand was up even more in November, by an additional 11%. Higher demand usually means higher prices. The government has declared numerous times that it was going to do what was necessary to bring down real estate costs, but so far has not discovered the combination of actions and factors that would actually accomplish this. Thus, real estate prices continue to remain high and even climb in some areas, making purchasing a home for young families and, often, new immigrants, nearly impossible. In December, though, sales were lower or flat in many areas. Experts attributed the dropoff to a lack of activity by investors, who are said to be trying to work in the Bank of Israel's new rules into their portfolios. As such, demand is expected to continue to be strong, leading to continued high prices for homes – but the Bank of Israel expressed hope that demand might go down somewhat, at least to temper prices over the next few months.